Heaven isn’t only about the future. It has everything to do with life on earth-life “in between.” Jonathan Edwards understood this well. His writings are full of his thoughts on heaven and how those thoughts should make a difference in our lives. This book focuses on key sermons by Edwards, showing readers how his insights can be applied to the challenges of living the Christian life in the twenty-first century. Edwards reminds us of our duty to live on earth in light of heaven and to endeavor to bring the realities and the beauty of heaven to earth-even if only in miniature. 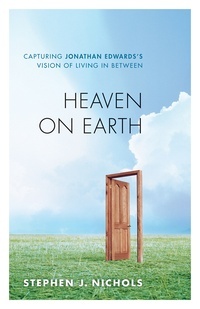 This book is for all believers wondering how to live on earth with a view of heaven, and those familiar with Edwards’s works will have a special appreciation for this study.